Yalynka – After a fine meal, our youngsters took took the stage. Bradford branch of OUZ would like to thank all of you who contributed to the Ukrainian Armed Forces Day Appeal 2017, for your support and very kind and generous donations. We had an amazing response and as a result, were delighted to be able to buy enough items for over 63 individual bags for our wounded soldiers recovering in hospital, to see them through the cold dark winter months ahead. Your generosity is greatly appreciated and we are sure that the soldiers, when they receive their gifts, which will be distributed on Armed Forces Day – 6 December, or soon after, will be warmed and lifted in the knowledge that people in England as well as other countries are remembering and thinking of them, whilst they convalesce from their wounds received while defending Ukraine. Slava Ukraini! February is an important month in the calendar of events for members of the Association of Ukrainian Women (AUW) in Bradford, as it is traditionally the time when Ukrainian heroines are remembered with this year being no exception. 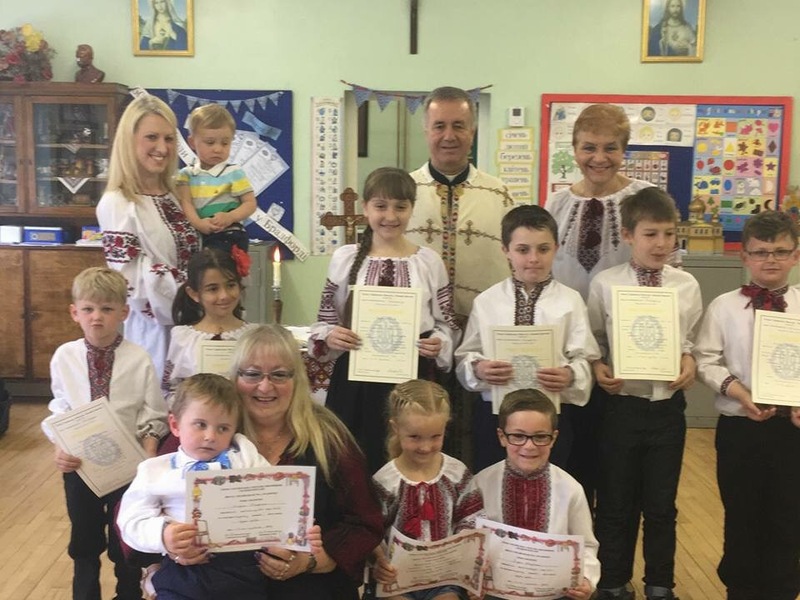 On Sunday 25 February, members of AUW in Bradford dressed in embroidered blouses commemorated Ukrainian heroines, by holding a mass at the Holy Trinity and Our Lady of Pochaiv church, followed by a panakhyda (memorial service). In church after the panakhyda, members of AUW presented a short programme, reading excerpts of acts of heroism by the following women: Olena Teliha, Oksana Meshko, Olha Basarab, Olena Stepaniv, Maria Skrentovych-Lavriv and Olha Ilkiv (pseudonym Roksolana). A few pictures from the last day of school for this academic year. 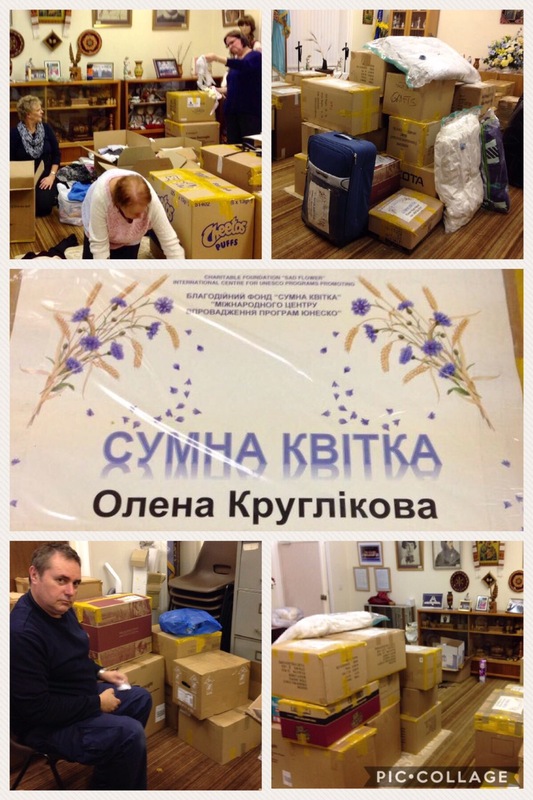 Ouz Bradford donations, helping to support the charity Sumna kvitka. All packages are ready and on the way.